What was once nicknamed Fort Liquordale has shaken off its reputation as a spring break party zone for mayhem-causing American college students and reinvented itself as a rather chic South Florida hotspot. 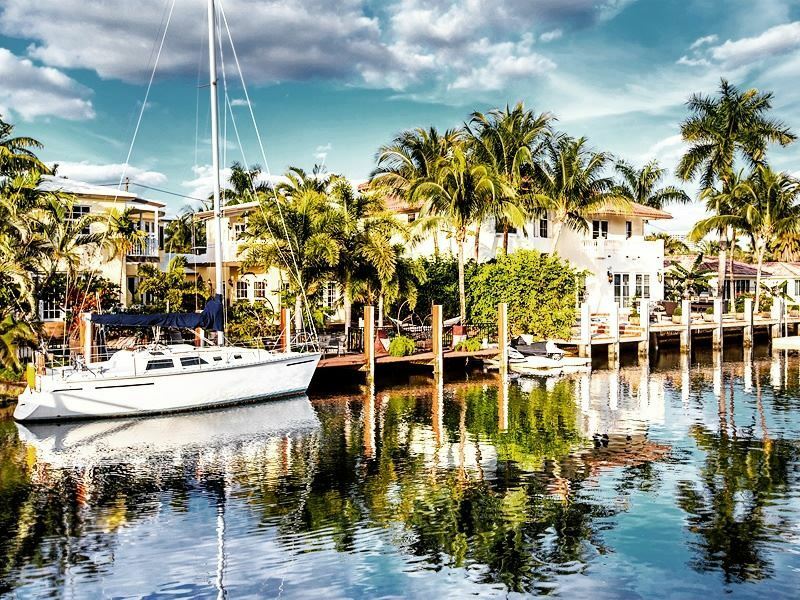 We check out the top 10 things to do in Fort Lauderdale, a city that still embraces its fun-in-the-sun ethos, but now draws a classier crowd to its white-sand beaches, intracoastal waterways, top-notch museums, and new wave of luxury resorts, restaurants and boutiques. Where: On 335 Southeast 6th Avenue, just off Las Olas Boulevard on the New River. 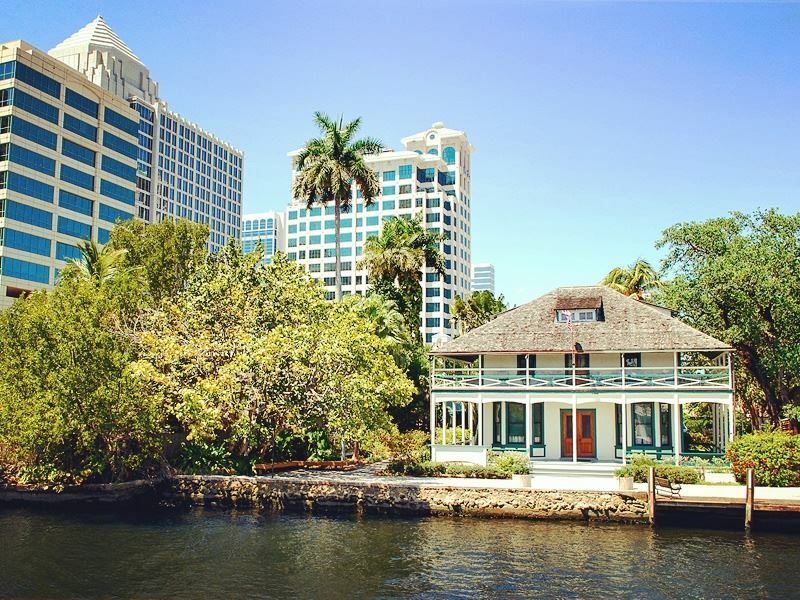 What: Built in 1901 as a trading post for settlers and the Seminole Indians, the former riverside residence of Fort Lauderdale’s founding father Frank Stranahan and his wife Ivy is the oldest in town - and undeniably the prettiest. Lovingly restored to its original splendour in the late-Seventies by the Fort Lauderdale Historical Society and Fort Lauderdale Board of Realtors, this listed landmark has been operating as a historic museum since 1984. Highlights: Guided tours lasting for around an hour are available daily at 1pm, 2pm and 3pm. Most worthy of your attention are the Dade Country pine walls, period Victorian furniture, and decorative pieces in the parlour, kitchen, dining room and office. Keep your eyes peeled for the photographs that illustrate the 100-plus years of local history, and be sure to visit the gift shop that’s well-stocked with crafty items from local artisans. Where: On East Sunrise Boulevard, between the Atlantic Ocean and Intracoastal Waterway. What: Named for the wealthy Chicago lawyer who donated his three-and-a-half mile beachfront estate Terramar (meaning ‘Land to the Sea’) to the State of Florida as a snub to city developers, this gorgeous subtropical space officially opened as a public park in July 1949. Birch’s Art Deco-style home from 1843 to 1943 serves as the park’s visitor’s centre and features interesting exhibits about Florida’s ecology, wildlife and local history as well as its founder’s life and work. 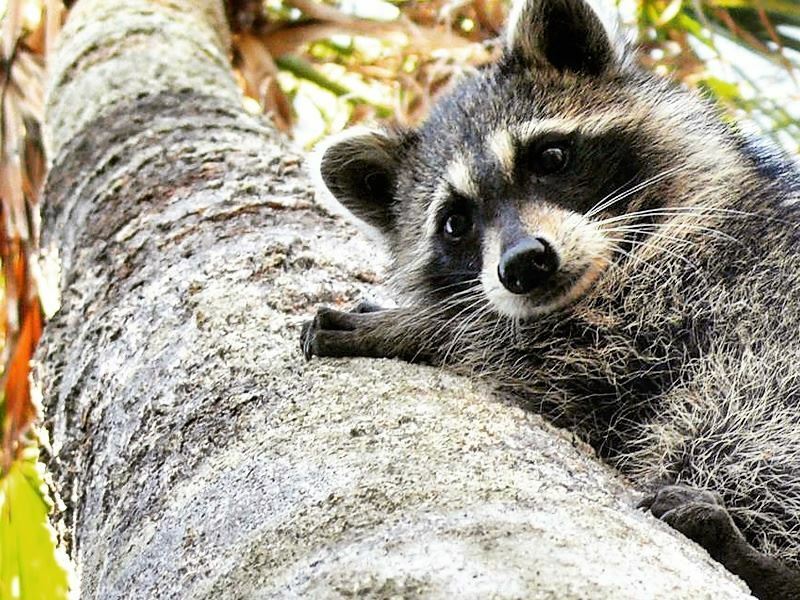 Highlights: As well as staking out turtles, butterflies and over 200 species of wading birds, hawks and ducks, active types can enjoy cycling, camping, fishing, canoeing, paddle boarding, kayaking, swimming, inline skating and rollerblading. Facilities include a mile-long freshwater lagoon, two hiking trails, shaded picnic areas, playground equipment, and barbecue grills. Segway tours are also available. Where: At 1527 SW 1st Avenue, two blocks north of 17th Street. What: The vision of flower-shop chain owner and avid classic car collector Arthur Stone, this unique 30,000-square-foot space designed to resemble a 1920’s car showroom houses the world’s largest collection of Packards. Nostalgic car-lovers can drool over 22 vintage models released between 1909 and 1947, and check out heaps of historical car memorabilia such as hood ornaments, gear-shift knobs, horns, lighters, ashtrays, lamps, and magazines. 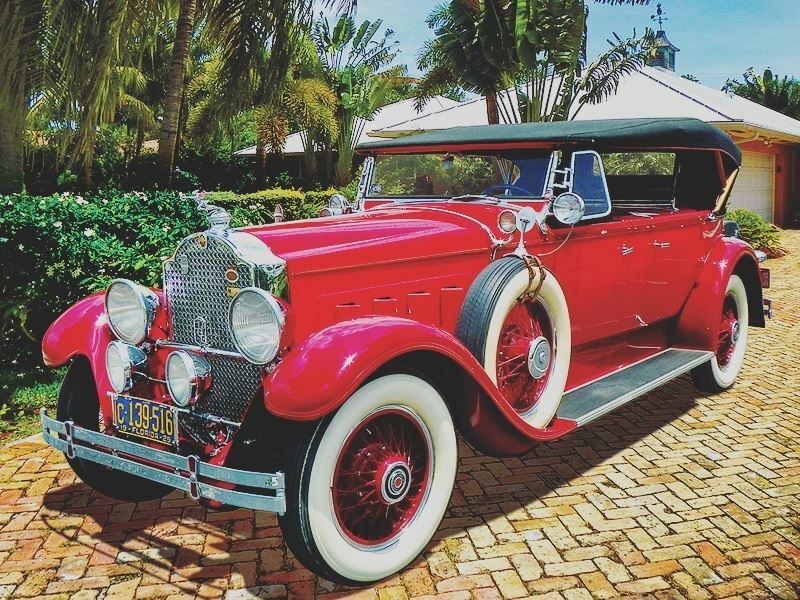 Highlights: Kept in pristine condition, every gleaming Packard comes with a detailed analysis and service history. Must-sees include the self-lubricating 645 Dual Cowl Phaeton, 1909 Gentlemen’s Runabout Speedster, 1923 Doctor's Coupe, and special Franklin D. Roosevelt gallery. Tours are available from Monday to Saturday from 10am to 4pm, but call before you visit as the museum occasionally closes for private events. Where: At 900 North Birch Road, with a pedestrian entrance on Breakers Avenue. What: Listed on the National Register of Historic places in 1984 and declared a historic landmark by the City of Fort Lauderdale in 2002, this 35-acre spread served as the winter residence and studio for artists Frederic and Evelyn Bartlett. Named after the yellow water lily that once grew in the estate’s marshland, it’s now home to Costa Rican squirrel monkeys, a pair mute swans, gopher tortoises, and manatees who hang around the boathouse canal. Highlights: Examples of the couples’ easel art are on display in the studio while Frederic’s ornate murals, faux painting and eclectic antique collections are in the main house. Outside in the landscaped grounds, you’ll find a mangrove swamp, coastal hammock, lily pond, hibiscus garden, courtyard aviary, and Orchard Showroom housing Evelyn Bartlett’s quite extraordinary collection. Tours run daily, except on Mondays. Where: Overlooking the Intracoastal Waterway and Atlantic Ocean. What: Nothing beats a table with a view. And when it comes to wining and dining, the so-called ‘Venice of America’ delivers with a slew of crowd-pleasing spots. 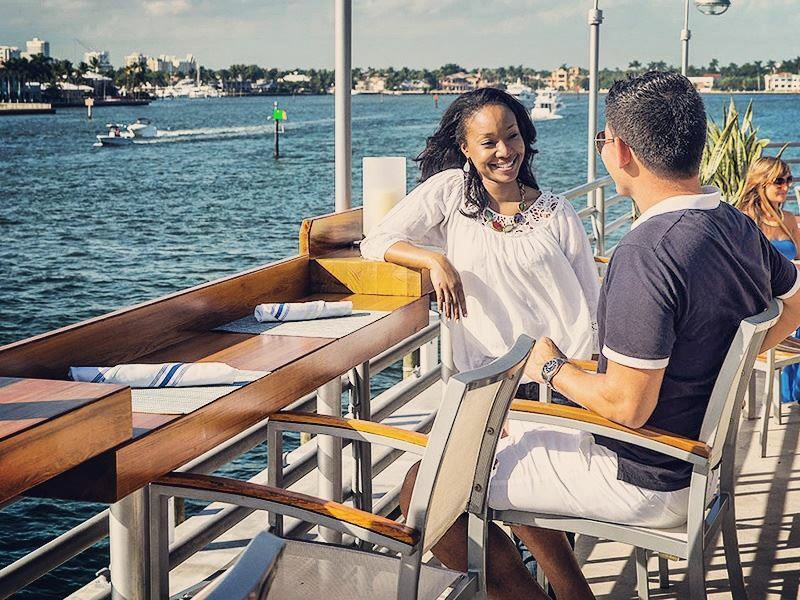 Be sure to head to the award-winning 15th Street Fisheries where the waterfront setting near the 17th Street Causeway drawbridge and Port Everglades inlet to the Atlantic Ocean is as fabulous as the fresh seafood, and try Beauty & The Feast for its mouth-watering food and weekend brunches. Highlights: Food and drink is taken very seriously here, especially in the character-filled restaurants, bars and cafés around the Riverwalk Arts & Entertainment District that runs along the New River. Try Steak 954 for its exceptional steak menu, Casablanca Café for its signature sandwiches that come with homemade Parmesan waffle fries, Marti’s New River Bistro for its Fresh Florida Key Lime Pie, and Coconuts for its New England-style lobster roll. Where: Spanning 1.5 million acres on Florida’s southern tip. What: Fort Lauderdale is officially the eastern gateway to the magnificent Everglades - the sub-tropical watery wilderness that was awarded national-park status and protection in 1947. 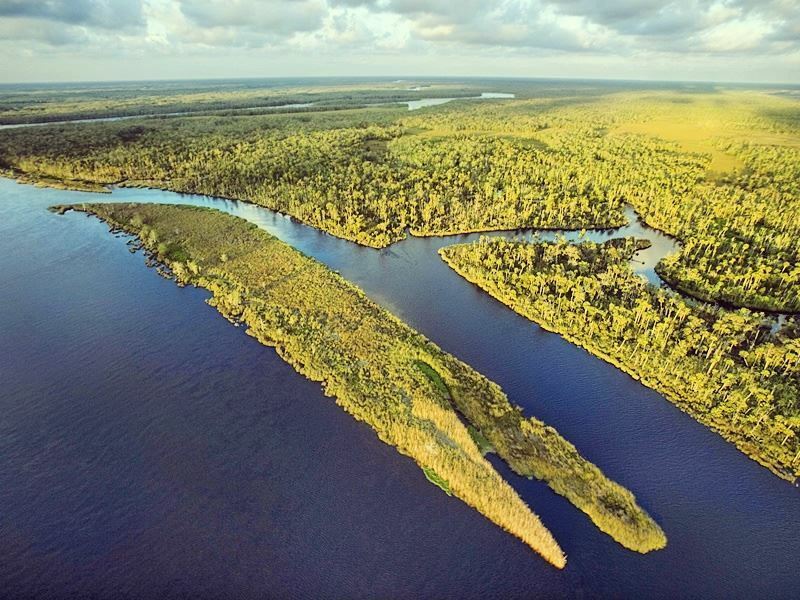 Famously referred to as a “river of grass” by Florida author and environmental activist Marjory Stoneman, this wonderland for lovers of the great outdoors offers plenty to please; from wildlife-watching, swamp-buggy safaris and airboat rides to hiking, sailing, swimming, and diving. Highlights: Plenty of guided tours are available, many of which take in the 15-mile Shark Valley Tram Road loop, and the visitor’s centres at Flamingo, Royal Palm, Gulf Coast, and Shark Valley. Should time allow, hike the Anhinga Trail, Gumbo Limbo Trail, Pahayokee Overlook, Mahogany Hammock Trail and West Lake Trail, paddle through the marshes, mangrove islands and orchid-lined canals, and check out the coral reefs at Biscayne National Park. Where: Stretching from the beach at A1A and rising over the Intracoastal Waterway. 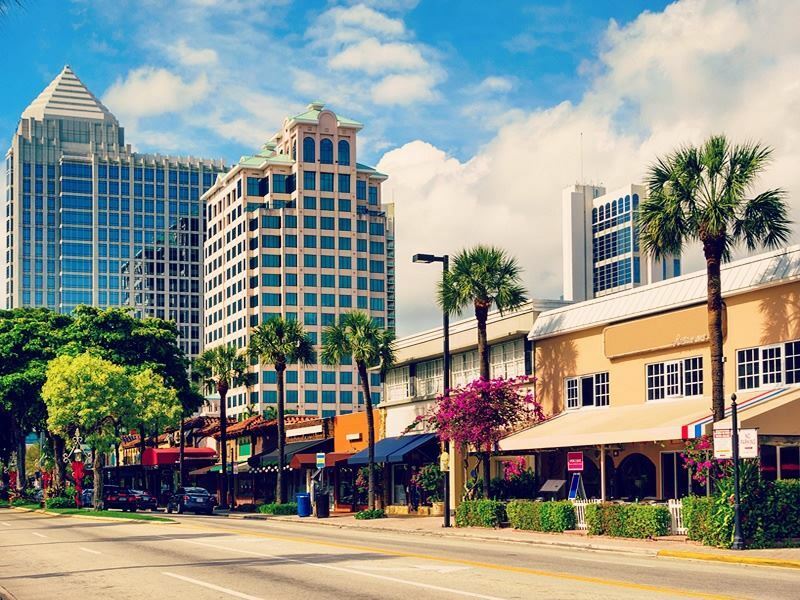 What: The exclusive thoroughfare that links downtown with the ocean is the heart and soul of the city for its gourmet restaurants, bistros, bars, cafés, galleries, museums, clubs, and new wave of upscale boutiques and one-of-a-kind speciality shops. The old-fashioned lamp posts, black olive trees with twinkling lights and Mediterranean architecture make Las Olas (Spanish for “the waves”) one of the prettiest commercial strips in South Florida. Highlights: The city’s so-called Style Mile is upscale boutique shopping at its best. Head to Needlepoint Originals for hand-painted needlepoint canvases, pillows and cushions, Bennett Uomo for bespoke to ready-to-wear suits, and EVOO Market for every type of olive oil imaginable; from chipotle-infused to black truffle-mixed. Also try Ann's Florist for fresh blooms and floral-inspired home décor and gifts, and Maus & Hoffman for preppy sportswear. Where: Around Riverwalk, Las Olas Boulevard, and throughout the city. What: There’s no shortage of thrills for those keen to check out the city's creative side. 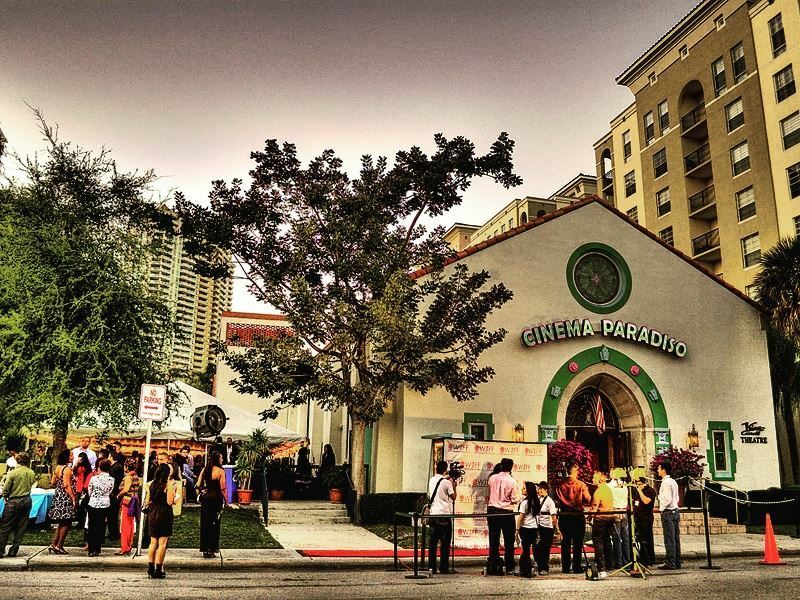 Check out the fancy galleries along Las Olas Boulevard, visit Cinema Paradiso for art house movies, and spend time at the Museum of Art Fort Lauderdale to marvel at works from modern masters such as Picasso, Dali, and Warhol. Further cultural gems include the African-American Research Library & Cultural Center, Museum of Discovery & Science, and Samsara Folk Art Gallery. 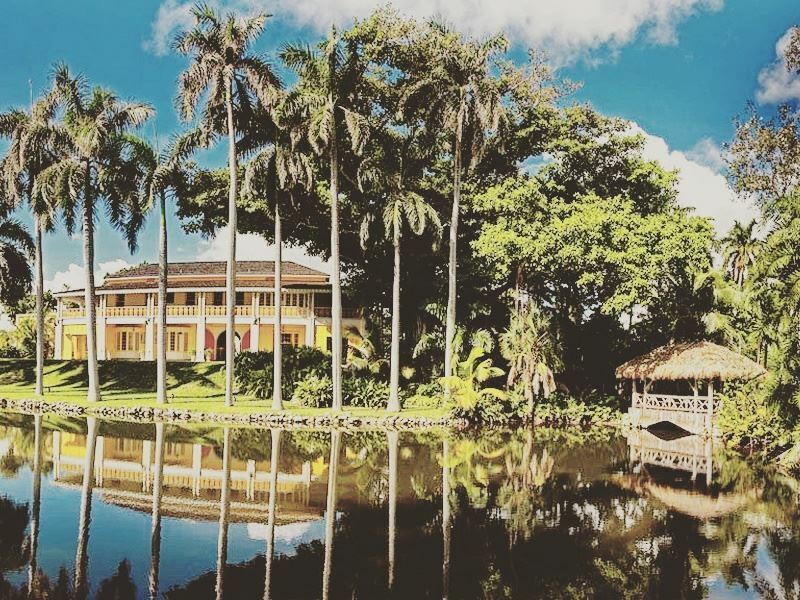 Highlights: Set along the north bank of the New River in downtown, the award-winning Broward Center for the Performing Arts is a gleaming 520,000 square-foot arts and culture complex complete with four stages, formal gardens, and a riverfront terrace. Head here for world-class plays, off-Broadway musicals, operas, ballets, pop concerts, dance reviews, stand-up comedy, lectures, and community events. Where: From Virginia, to the Florida Keys and along the Gulf of Mexico to Texas. What: The 3,000-mile long network of canals, inlets, bays and rivers that’s divided into the Atlantic Intracoastal Waterway and the Gulf Intracoastal Waterway is a godsend for pleasure boaters looking to avoid possible rough seas in the ocean. 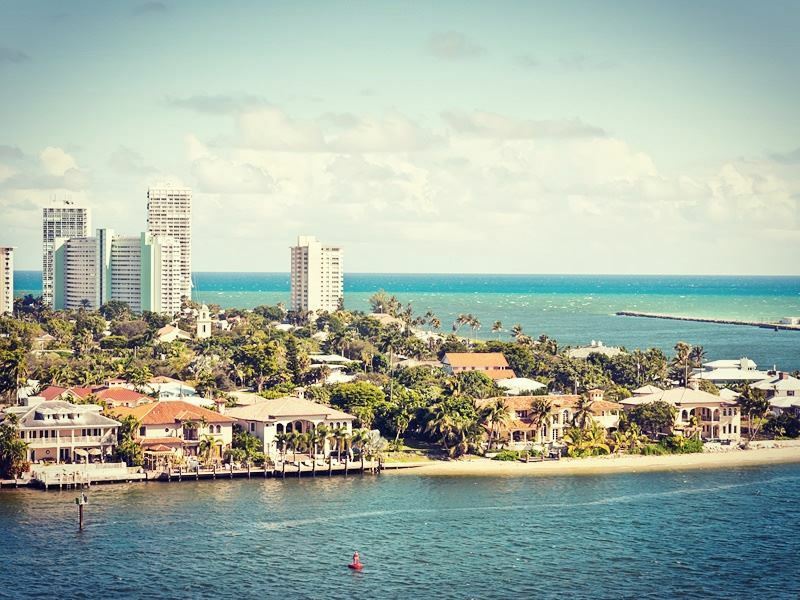 And while navigating the entire length is an epic journey, there’s plenty of cruise liners offering sightseeing tours that depart from Fort Lauderdale’s New River Dock and travel along the ICW and into Port Everglades. Highlights: For a fully-charged watery experience without the price tag, the bright yellow Water Taxi is a hop-on-hop-off service that carries passengers from dock to dock along the New River and Intracoastal Waterway. Ranked as one of the city’s best attractions, these cool-looking taxis run every 15 to 30 minutes between 9:45am and 11pm and offer 12 pick-up stops along the ICW and downtown New River. Where: Hollywood, Dania, Deerfield, Hillsboro, Pompano, Hallandale, Lauderdale-by-the-Sea, and Fort Lauderdale Beach Park. What: Beachlovers can enjoy over some 23 miles of white-sand beaches, many of which have the Blue Wave Beaches seal of approval. Head to Deerfield Beach for sandcastle building, volleyball and al fresco dining, Hillsboro Beach for turtle nesting between March and October, and Pompano Beach for jet-skiing, kayaking, rafting and scuba diving. Also try Dania for its lovely fishing pier, and Lauderdale-by-the-Sea for its excellent Kilwins ice cream parlour. 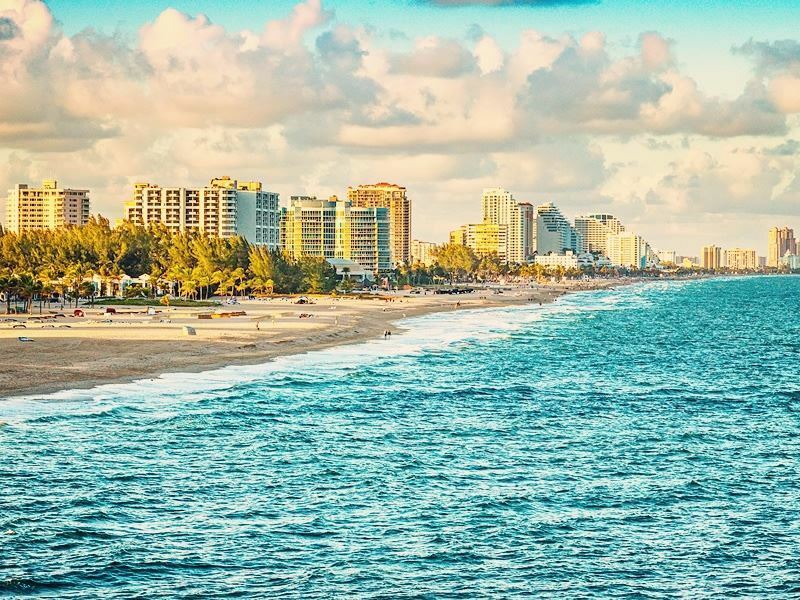 Highlights: The chic-as-you like Fort Lauderdale Beach tempts with gleaming white sand backed by warm turquoise waters, a superb brick-paved promenade, and an eye-catching curvy wave wall. Beachgoers can while away the hours boating, wind surfing, jet skiing, snorkelling, scuba diving, deep-sea fishing, and rollerblading. Away from the sands, the nearby restaurants, sidewalk cafes, shops, and entertainment venues are all worth a visit.